The Pacific island of New Caledonia is a nature lover’s paradise. Punching well above its weight, the island lays claim to impressive natural features including the largest lagoon in the world and a 1,500km-long (930 mile) coral reef, second only in size to Australia’s Great Barrier Reef. Inscribed as a UNESCO World Heritage Site in 2008, New Caledonia’s vast coral reef offers some of the most spectacular diving in the world. Not only is it an important nesting site for green turtles, but it also supports an astonishing variety of tropical fish, seabirds, sharks, whales and dugongs, also known as sea cows. Visitors will find an equally diverse mix of wildlife inland. New Caledonia is famed for its flying foxes and myriad exotic birds, including the highly intelligent Caledonian crow, which fashions hooks from branches to pick its insect prey from trees. It’s not all about the wildlife, though. This former French colony, which is now classed as a special collectivity of France, is a fascinating melting pot of Melanesian and French culture. This unlikely fusion is most visible in the capital, Nouméa, where luxury hotels, gourmet restaurants and plush boutiques compete with Melanesian cuisine, dance and other local traditions. This juxtaposition is not always harmonious however, and conflicts between France and New Caledonia sometimes flare up, reflecting their differing attitudes on self-government, French nuclear testing in the region and more. There’s been an appetite for independence for sometime now and the territory seems to be slowly moving towards sovereign status. France will be the poorer for it. 18,575 sq km (7,172 sq miles). President Emmanuel Macron since 2017, represented locally by High Commissioner Thierry Lataste since 2016. President of the government Philippe Germain since 2015. Tropical cyclones may occur, particularly between mid-December and mid-March. Although there’s no recent history of terrorism in New Caledonia, attacks can’t be ruled out. From 28 March 2019, you will need to have a 1968 International Driving Permit (IDP) to drive in New Caledonia. From 1 February 2019, you can only get IDPs over the counter from 2,500 UK Post Offices. You will not be able to buy an IDP outside the UK, so get one before you travel. New Caledonia is a dependent territory of France. If your passport describes you as a British Citizen you do not need a visa to enter New Caledonia. Other British passport holders should check the current entry requirements with the French Foreign Ministry. 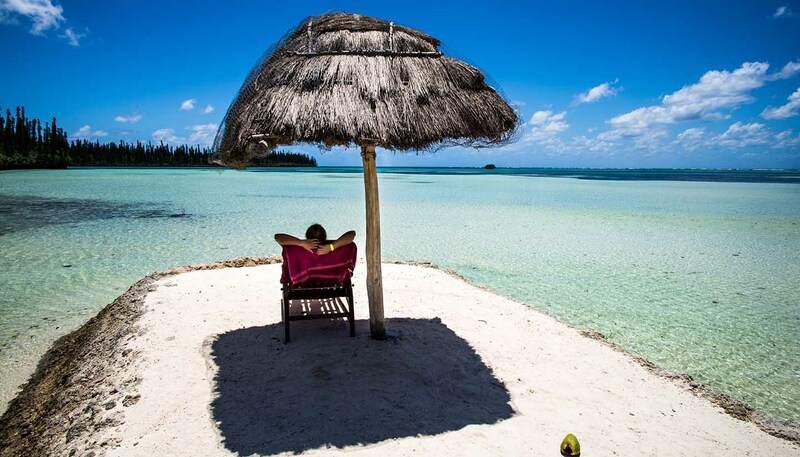 If you wish to remain in New Caledonia for more than three months, you should apply at the local Haut Commissariat or French Consulate for the necessary residence and work permits. If the UK leaves the EU without a deal, the current visa policy for British Citizens visiting New Caledonia may change. We are working with the relevant authorities to clarify entry requirements for British nationals and this page will be updated as soon as further information is available. If you would like more details in the meantime, or want to discuss a specific issue, you should consult the French Embassy in London. UK Emergency Travel Documents are accepted for entry, airside transit and exit from New Caledonia. EU regulations regarding employment and right of abode don’t apply to New Caledonia. British nationals have no right to work or to extend their stay beyond the initial 3 months without special authorisation from the local authorities. General health care facilities in New Caledonia are good for uncomplicated treatment, but more serious cases may require evacuation to Australia or France. Make sure you have adequate travel health insurance and accessible funds to cover the cost of any medical treatment abroad and repatriation. The European Health Insurance Card ( EHIC) does not provide health cover in New Caledonia. Cases of Chikungunya virus and Dengue fever have been confirmed in New Caledonia. You should take steps to avoid being bitten by mosquitoes. If you need emergency medical assistance during your trip, dial 15, 17 or 256767 and ask for an ambulance. You should contact your insurance/medical assistance company promptly if you are referred to a medical facility for treatment. Tropical cyclones may occur in New Caledonia, particularly between mid-December and mid-March. Check local forecasts and updates from the World Meteorological Organisation. You should monitor these updates and follow any advice issued by the local authorities.